The WordPress Theme Developers has been released some quite beautiful themes for a year – 2013 and the most fantastic of these are free. Every month I’ll be bringing you our hand pick of the best free WordPress themes released in the previous month but I’ve missed a collection of Freemium WordPress Themes of December 2013 then today, I prefer a listed of BEST FREE WordPress Themes 2013 Edition. Black Friday and Cyber Monday are two of most craziest shopping days in the entire United States. It’s that time of year again. Every year the WordPress world fully embraces these holidays by giving big discounts off their pricing. This year we wanted to bring you a list of some of the biggest and best WordPress deals for Black Friday and Cyber Monday 2013. Our list below will be updated every day, so don’t forget to check back here or follow us on Twitter to discover the latest deals! If you have a deal you would like added to this list that would benefit our readers, please let us know by adding it to the comments below! If you are looking for free WordPress themes, you are in the right place. 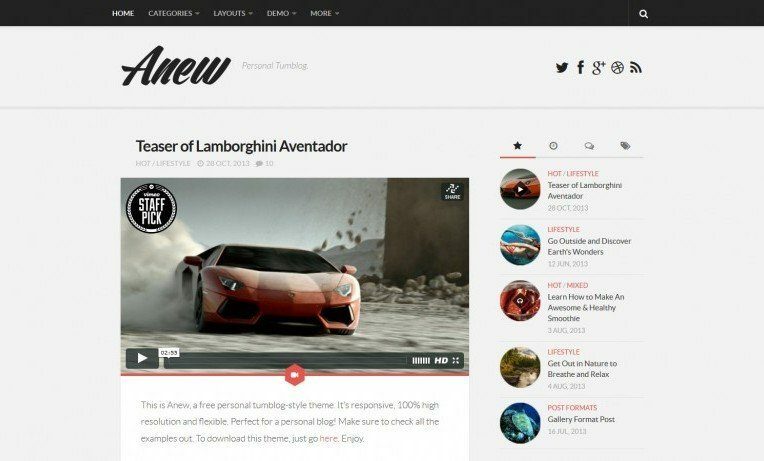 In this round up, we are showcasing some fresh and awesome free premium WordPress themes that’s appeared on November 2013. So, make your website or blog look stunning with these WordPress themes. With the use of these free premium WordPress theme, you can make your website stand out from the rest as well as give a long lasting impression on your customers or website visitors. Every month we’ll be bringing you our pick of the best free WordPress themes released in the previous month. Here are our favorites for November, come and grab this amazing chance and start browsing through this fresh collection of WordPress themes. Every month we’ll be bringing you our pick of the best free WordPress themes released in the previous four weeks. This month we’ve had some excellent themes to choose from and had a tough time narrowing them down! They are all simple to use and customize ensuring that you can easily convey a unique style and brand on your site. Like previous month, on second week of month I will listing best FREE PREMIUM beautiful and high quality WordPress themes. This month I’ve had some excellent themes to choose from and had a tough time narrowing them down! They are all simple to use and customize ensuring that you can easily convey a unique style and brand on your site. Just about 3 months since I did a free theme roundup posts since May 2013. WordPress 3.6 has been released and it’s popularity is still growing. When you start a WordPress blog, you start looking for WordPress themes. It is easy to find a premium theme for your website, but usually you will have to pay quite a high price for one. If you are looking for best free and high quality WordPress theme, this collection is great for you. All themes in the collection are released under the GPL license, comes with cool and useful features and options. They can be used for various website types such as business, corporate, portfolio, gallery, photo, or whatever you want to use them for!